Halloween Cuties. Coming OR Going! Murphy, Gracie, Kayla, and Misty are all dressed up to visit an assisted living home. Murphy and Misty were adopted from Northern Virginia Sheltie Rescue. What a great costume, Linda! I thought Shelties were non-denominational? 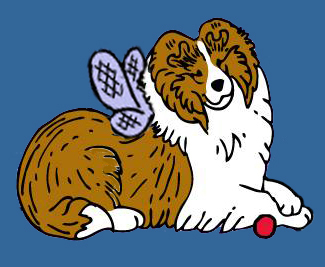 A Sheltie. In A Bee Suit. Heck no, it’s just poor Rascal! 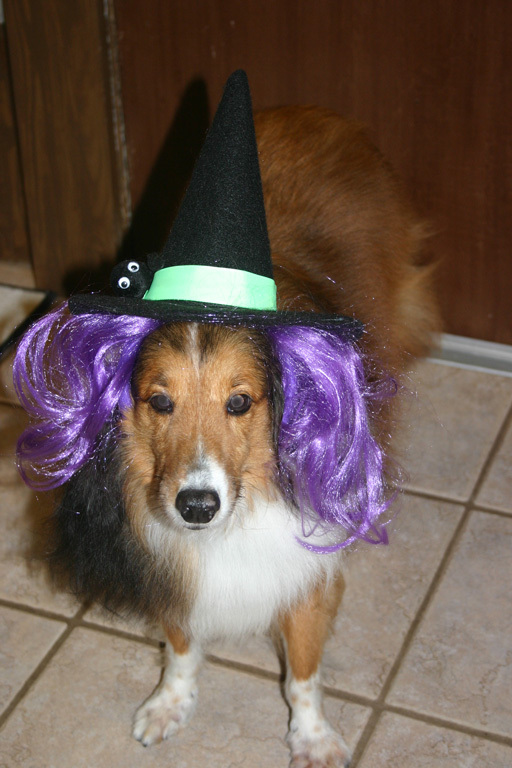 Shadow is rocking his witch look! Hey Sheltie Nation peeps! Only two more weeks so send in those Halloween pictures! Although Thunder is trying to send a warning to all his fellow Shelties. But he looks so handsome, Sandi. of wearing silly hats solely for my amusement.